Yesterday, I was reduced to tears when I heard on the BBC Radio 4 Today program some of the story of a little girl who had been murdered by her father, who was convicted (along with the mother for covering up the crime), as recounted by the grandfather, along with all his misgivings of what went wrong, who along with his late wife had for a period been her guardian (because of previous abuse) but had to give her back to her natural parents by order of the courts, fully aware what happened was a strong possibility. I won’t recount the story (check out here for more) and will add the caveat that until I heard this piece I was hardly aware of what had gone on and because I do not know all the facts I do not regard myself as being anywhere near qualified to say what should or should not have happened. As for what should happen now, I agree with the grandfather, there needs to be a full public enquiry with all reasonable measures to be taken to ensure a similar tragedy (aided as they often are by systemic failures) does not happen again. Given that there is more than one agency involved and it seems to have been the case here there were conflicts in the way they worked and interacted, we must get to the bottom of this. I use the word reasonable because as a society we can overreact and often do. Dealing with the dark side as I do in my work, I am mindful of innocent people being targeted as pedophiles by nasty people for their own ends. While the dust has not yet settled on the Cliff Richard accusation, if as seems the case Sir Cliff is entirely innocent, then the way he has been treated has been disgraceful. The moves by the Scottish government to introduce state guardianship of children is worrying, even if well intentioned, as it could well harass good people, especially those with strong religious convictions, who don’t follow the status quo. I am mindful of cases of good people with strong Christian views losing their children, part as a result of a heavy handed, politically correct approach. I could go on … It wasn’t long ago I had a go at our own local social services for what appeared an over heavy approach to a related matter but then realizing that I did not have all the facts. I am also mindful of an increased interest in and spotlight on child safeguarding (unsurprising in the light of a horrendous line of stories of historic child abuse). While I am all for a common sense, light touch approach to such matters, I also realize there is a need at times to be legalistic and to set down firm policies. In my various dealings with initiatives to help the homeless, this is something that I have had to (and am still) coming to terms with. While there are many parents out there who have much to be desired in the way they do parenting, I don’t think I am a particularly great dad either. But I try to do my best and am sickened that any parent should have acted in the way Ellie’s parents did. 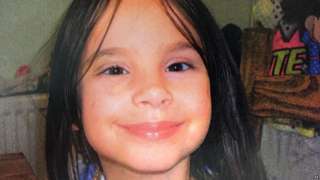 I am sickened too, and without wanting to apportion blame without knowing all the facts, that Ellie has been let down by those who might (and should) have prevented this senseless death. What has happened also rates along with all the other senseless deaths we are hearing a lot more about and the need for love, not hate. All that remains for me to say is I am sorry Ellie that we have let you down. You deserved so much more. I have no doubt you would have grown into a fine woman if only things had turned out differently. God bless you darling Ellie. Rest in peace now!